The cement tile roof at the United Methodist Church made it a challenge. Jeff Rudd of Electricraft researched his options, he could not use any traditional solar racking solutions. He was recommended the innovative SolarPod Crown as the perfect solution. Mouli Engineering, Inc., based in Eagan, Minnesota, was founded by Mouli Vaidyanathan, PhD, PE, who has over 20 years of engineering experience in state of the art semiconductor yield engineering, failure analysis, and product design. 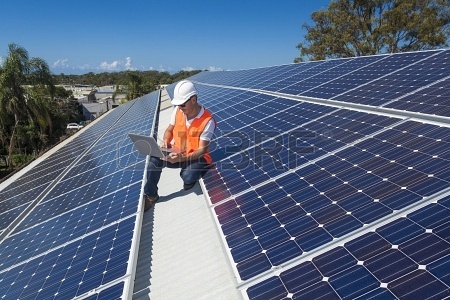 Mouli Engineering holds the patents on the SolarPodTM products and several other inventions. More information is available at: http://www.mysolarpod.com.